On Friday 1st February 2019 in hospital, Marian aged 91 years of Clayton-le-Moors. Dearly beloved daughter of the late John and Margaret Joinson, dear sister of the late John, much loved sister-in-law of the late Jessie and dear aunt to Julie and Graeme, Derek and Sue, and great-aunt of Joseph, Imogen, Georgia and Mark. Marian was born in Accrington on 22nd January 1928 and moved to live in Clayton-le-Moors as a baby. She was educated at Mount Pleasant Council School and then at the Accrington High School for Girls. On leaving, after training at Guests Business College, she took up employment in the office of John Blake Ltd. After 16 years there, she went to work as Secretary to the Clerk of the Great Harwood District Council, and on local government re-organisation in 1974, she transferred to Hyndburn Borough Council. She was granted early retirement in 1985 and continued to care for her mother until her death in 1991. Marian has been a life-long member of Barnes Square Methodist Church, holding almost every office including sunday school teacher, youth leader, pastoral visitor, church council secretary, and regular cleaner. She was a local preacher for many years after being accredited in 1959. 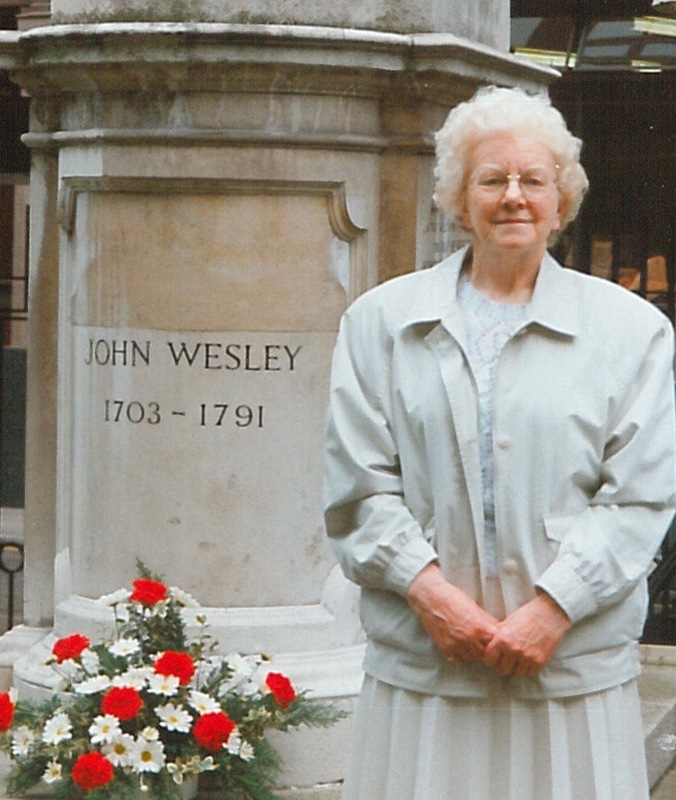 She was also organist from 1988 following on from the death of her uncle William Joinson who himself had been organist for many years prior to that. Marian was for a long time member of the Whalley Abbey Fellowship and Meditation Group where she spent many happy and renewing hours. Her hobbies were walking, gardening and watercolour painting. Donations may be made in memory of Marian to Action for Children and the Leprosy Mission.